Key, K. W., Application of broadband marine magnetotelluric exploration to a 3D salt structure and a fast-spreading ridge, Ph. D. Thesis, University of California, San Diego, 2003. 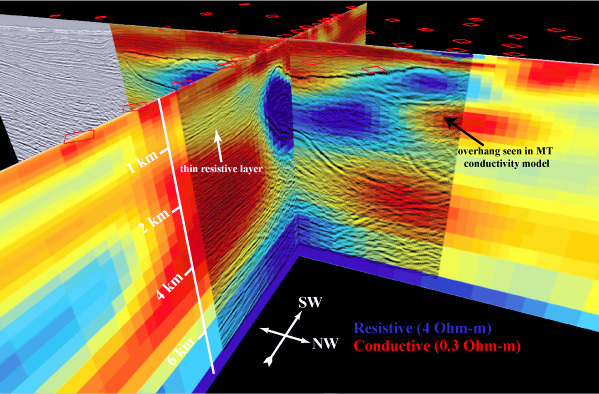 Hoversten, G.M, S.C. Constable, and H.F. Morrision, Marine magnetotellurics for base-of-salt mapping: Gulf of Mexico field test at the Gemini structure, Geophysics, 65, pp. 1476-1488, 2000. Constable, S., A. Orange, G.M. Hoversten, and H.F. Morrison, Marine magnetellurics for petroleum exploration Part 1. A seafloor instrument system, Geophysics, 63, pp. 816-825, 1998. Hoversten, G.M., H.F. Morrison and S. Constable, Marine magnetellurics for petroleum exploration Part 2. 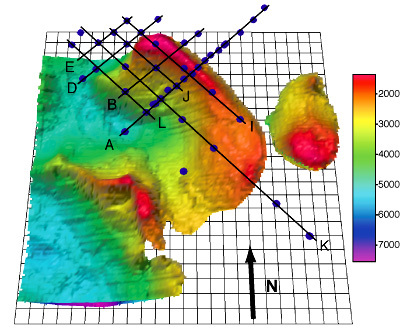 Numerical analysis of subsalt resolution, Geophysics, 63, pp. 826-840, 1998.